The U.S. creative account for BMW is expected to go into review next year, according to people familiar with the situation. FCB Canada -- which has offices in Toronto and Montreal -- was one of four agencies in a review for the account, including Cundari. BMW Canada undertook what it called an "extensive agency screening and selection process" as it prepares for what it described as a realignment of BMW's brand and communication strategy. The goal is to "enhance the brand's strong position as a leading premium manufacturer in the Canadian marketplace, and to further its position as a leading innovator and cutting-edge marketer," according to a statement. The Burnett Collective handled the Canadian review, according to people with knowledge of the matter. Representatives from the consultancy declined to comment. "It's been 22 years and it's one of those things where we've had such a long run with BMW and we've grown their business and brand with them," said Jennifer Steinmann, president of Cundari. She added that the agency participated in the procurement-driven review, which it knew was coming about 18 months ago. Cundari also defended the business in a pitch seven years ago. Steinmann said the parting is emotional but that the agency is happy with the time it's had with BMW, especially because most agency-client relationships don't last longer than three years. "FCB stood out for several reasons," Sebastian Beuchel, director of BMW brand management for BMW Canada, said in a statement. "Their strong strategic competence really shone through; they presented truly inspiring creative concepts; their broad, multi-cultural knowledge and insights into retail marketing were exceptional; and their digital strength -- a key pillar for us -- was particularly strong." "Changing agencies was a major decision for us," he added. "Cundari has been our valued partner for 22 years. They have been with us through major changes in our business, and in the industry as a whole. Over the years, we have done some incredible, award-winning work together, including our BMW M online films." 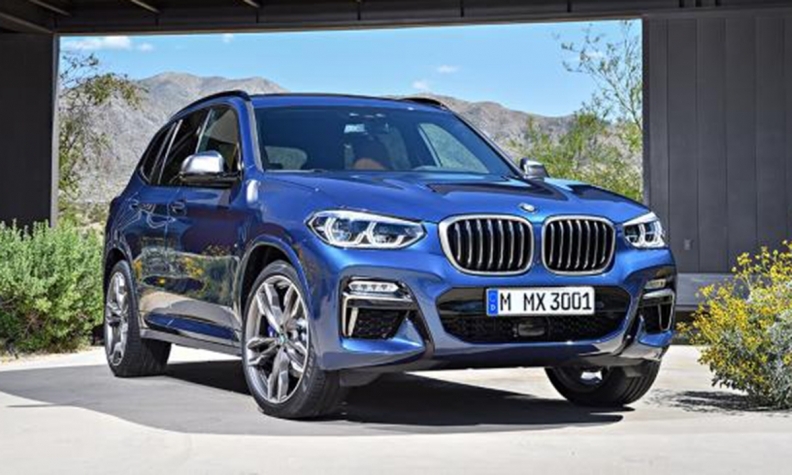 FCB's first assignment will be to handle marketing for the launch of the all-new BMW X3. The change in Canada comes just months before the luxury automaker is expected to launch a U.S. review. People familiar with the matter expect the U.S. creative account to go into creative review in 2018. The incumbent is MDC Partners-owned KBS. A BMW U.S. spokesman declined to comment on the possibility of a U.S. review. KBS declined comment. BMW lost the global luxury sales crown to Mercedes-Benz last year, ending a more than decade-long run at the top. In the United States this year, Mercedes had a 12,900-vehicle lead over Mercedes through June, according to Bloomberg. In December, BMW in the United States tapped Omnicom's Critical Mass to handle web development following a competitive review. The work was previously handled by KBS. Last year, the MDC shop also lost BMW's social media business to Laundry Service and the CRM account to MDC's Gale Partners.